Professional advice and proven treatments for women suffering with hair loss. Our female hair loss specialists can offer expert advice, guiding you through your journey. Find out which hair loss products can actually make a difference and which ones to avoid. Don’t despair: there are a number of clinically proven, effective hair loss treatments available. 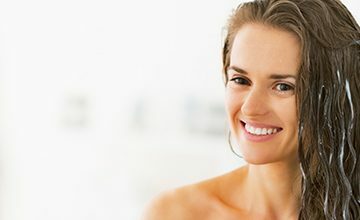 Every woman is unique and at Hair Loss for Women we believe in offering individually-tailored treatment programmes that will first discover the underlying cause of hair loss and then offer expert advice, care and effective hair loss solutions. Hair transplants are becoming an increasingly popular hair loss solution for men and, although it is not suitable for all women, it can be highly effective for some types of female hair loss. Ranbir helped pioneer the innovative hair loss solution Scalp MicroPigmentation, performing the world’s first ever treatment. Now she uses her technical expertise, extensive knowledge and personal experience to treat women suffering from hair loss.